In this article, we demonstrate you how DataSunrise prevents SQL injections which is one of the most popular hacker instruments of breaching web applications. To show you what exactly happens when DataSunrise intercepts a malicious query, we perform a penetration testing with a dedicated software. Although there are a lot of various applications dedicated to perform automated vulnerability assessment, we use Sqlmap utility in our current experiment. This free, open-source program is written in Python language and easy to use due to its command-line interface. Sqlmap appends to the vulnerable parameter in the HTTP query syntactically valid SQL statement, containing a SELECT substatement or any other SQL statement used to retrieve output from the database. Then Sqlmap compares each HTTP response with the original request and gets the output of the injected statement character by character. Sqlmap appends to the vulnerable parameter syntactically valid statement, containing query which causes a delay in DBMS back-end for a certain number of seconds. Then the utility performs a comparison between original response time and time spent on the injected query response and then infers the output of the injected statement character by character. Sqlmap appends to the vulnerable parameter in the HTTP request syntactically invalid statement string causing the database-specific error message. Then Sqlmap parses the HTTP response trying to find error messages containing injected SQL code and the subquery statement output within. This method of SQL injection works only if the DBMS is configured to show back-end DBMS error messages. Sqlmap appends to the vulnerable parameter in the HTTP request syntactically valid SQL statement starting with UNION ALL SELECT. This method is useful when the web application page uses FOR loop or similar to pass the output of the SELECT statement, so each line of the query output is printed on the page content. Sqlmap is able to exploit “partial” UNION query SQL injection vulnerabilities as well. Such vulnerabilities occur when FOR cycle is not used and only the first entry of the query output is displayed. If the target web application supports stacked queries, Sqlmap appends to the vulnerable parameter in the HTTP query a semicolon character ( ; ) followed by the SQL statement to be injected. 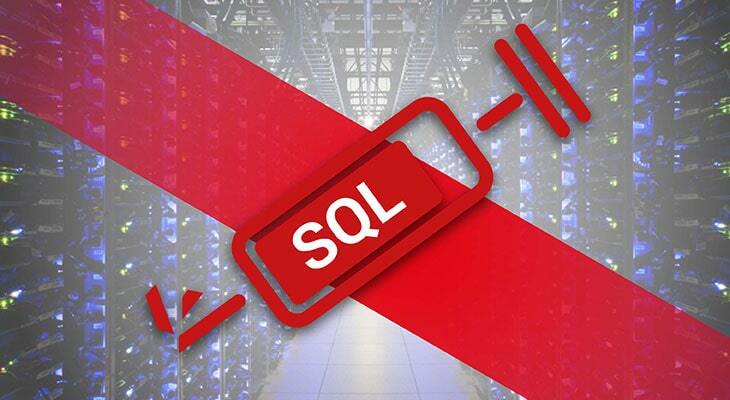 This technique is used to perform injection of SQL statements other than SELECT (like data definition or data manipulation statements). Potentially, this method can be used to get file system read/write access and operating system command execution depending on the DBMS back-end and the session user privileges. As you can see, Sqlmap is a powerful tool able not only to reveal vulnerabilities but to exploit them with various SQL injection techniques. Here is more about methods of SQL injection detection. Now it’s time to check if our web server can be SQL-injected. First we start Sqlmap testing procedure via the command prompt: python.exe sqlmap.py -u http://127.0.0.1:6589/?id=2;name=Denis When the testing process is finished, let’s take a look at the Sqlmap log file (it was created automatically and saved inside the “output” folder). sqlmap identified the following injection point(s) with a total of 50 HTTP(s) requests: --- Parameter: id (GET) Type: boolean-based blind Title: AND boolean-based blind - WHERE or HAVING clause Payload: id=2;name=Denis' AND 8150=8150 AND 'lsHq'='lsHq Type: AND/OR time-based blind Title: PostgreSQL > 8.1 AND time-based blind Payload: id=2;name=Denis' AND 9061=(SELECT 9061 FROM PG_SLEEP(5)) AND 'TLxE'='TLxE Type: UNION query Title: Generic UNION query (NULL) - 3 columns Payload: id=2;name=Denis' UNION ALL SELECT NULL,NULL,(CHR(113)|| CHR(112)||CHR(120)||CHR(120)||CHR(113))||(CHR(88)||CHR(109)||CHR(66)||CHR(103)||CHR(114)|| CHR(69)||CHR(83)||CHR(119)||CHR(113)||CHR(98)||CHR(110)||CHR(73)||CHR(90)||CHR(83)|| CHR(90)||CHR(121)||CHR(113)||CHR(102)||CHR(85)||CHR(117)||CHR(107)||CHR(72)||CHR(78)|| CHR(101)||CHR(79)||CHR(90)||CHR(112)||CHR(120)||CHR(74)||CHR(106)||CHR(114)||CHR(105)|| CHR(85)||CHR(84)||CHR(71)||CHR(104)||CHR(71)||CHR(89)||CHR(75)||CHR(111))||(CHR(113)|| CHR(22)||CHR(107)||CHR(122)||CHR(113))-- - --- back-end DBMS: PostgreSQL As the log shows, Sqlmap successfully identified DBMS version (PostgreSQL) and determined the “ID” parameter as vulnerable to SQL injection. Also Sqlmap proposed us three variants of SQL statements which can be used to perform SQL injection (“Payload” strings). And now we will check how effectively DataSunrise can protect the vulnerable web server (and associated PostgreSQL database) against SQL injections. We created an “SQL injection” Security rule (refer to DataSunrise user guide for details) and deleted the files Sqlmap has created during the first test. Now we run Sqlmap testing procedure again (as described above) and when the testing ends we check the utility log (note that Sqlmap was not able to create a log file so we are using its command line log). Following the developer’s recommendations and guidelines on safe use of databases and associated software.